This is a good export option to use if you are Mind Mapping an idea for a report, essay or outlining the chapters of a book. 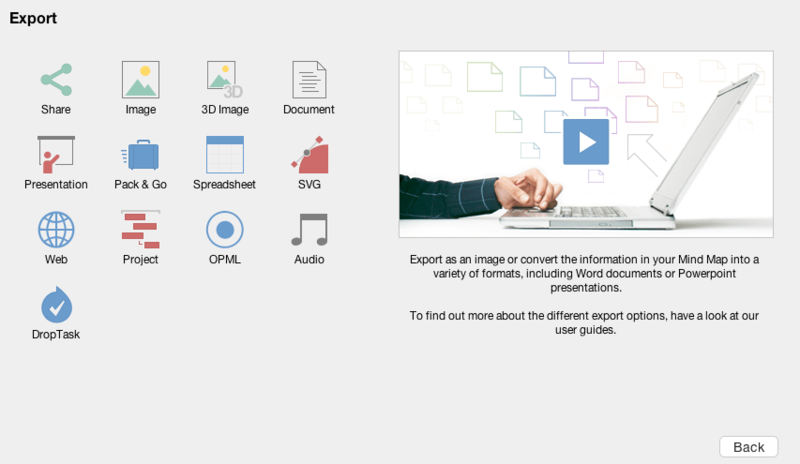 Navigate to File and select 'Export and Share'. 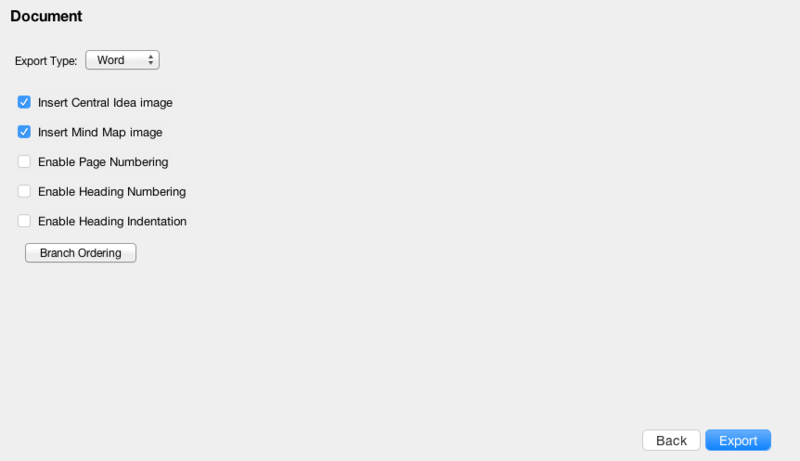 You will then be able to open your exported document. You will notice that your Central Idea will be the main title. The Parent branches will become headings and the Child branches will become sub-headings. Any notes assigned to branches will be shown as paragraph text. 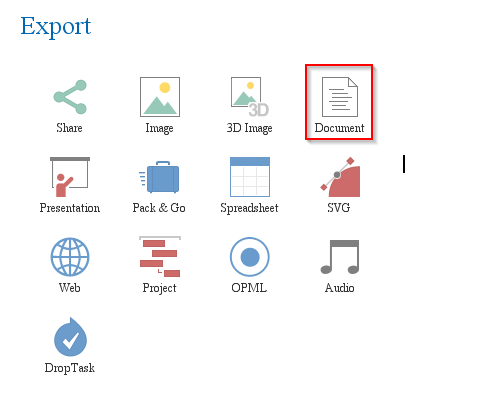 If you chose to export your images to your document, these will also be visible on your document. 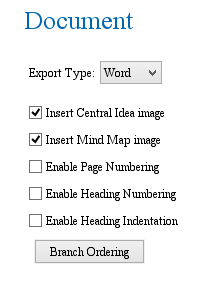 If you choose to include an image of your Mind Map, this will show on the very last page of your document. Navigate to File and select Export. You can also choose to include or exclude certain assets from your Mind Map. Once you are happy, select 'Export' and save to your computer. Can I Export my Mind Maps as a PDF?